Jan 10, 2017—The major contribution people with disabilities can make to business success will be outlined at a special event taking place next week. The major contribution people with disabilities can make to business success will be outlined at a special event taking place next week. Following a successful launch of This-Ability in Hull in October, it comes to the South Bank next Friday. 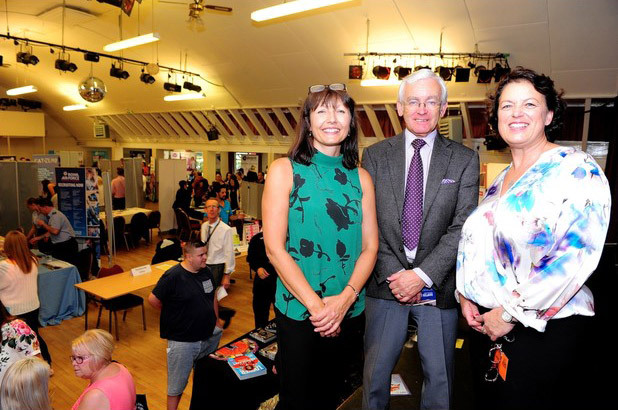 Cleethorpes MP Martin Vickers will host the event at the resort’s Memorial Hall, alongside North East Lincolnshire Disability Confident Forum. Nicola Ivory-Chapman, who leads talent acquisition at Channel Four, will be one of the keynote speakers at the event and will share the company’s best practice, by outlining their approach to embracing disability in the workplace. It comes as local organisations Talent Match Humber, PADD, Care Plus Group, Humber Local Enterprise Partnership, Open Door, The Work Company, Work Fit, Remploy and Department for Work and Pension’s Access to Work team have come together to streamline key provisions for employers available in the Humber. This year is also being championed as the year to become Disability Confident. Lorraine Alexander, employer and partnerships manager with the DWP, said: “Disabled people make up almost 20 per cent of the working age population, many being highly-qualified individuals. At our This-Ability event, we would like to show how much people with disabilities have to offer businesses. The event will showcase the work done by the groups and provide key information on how the help can be tailored to suit business needs. It was described as informative, engaging, inspiring and enthusiastic.